Internal parasites (more commonly known as worms) live in an animal’s gut, and can cause significant health problems for the animal. An animal contracts worms by ingesting worm larvae which develop from an egg on pasture. The worms then breed within the animal’s gut, and eggs are shed in the faeces onto the pasture. Internal parasites are most problematic in spring & autumn, so you must have a drenching and worm management programme in place at these times. Summer can sometimes be a problem if rainfall is high, and worms can persist from late autumn to winter if the weather is mild. The most common signs of worm infestation are scouring animals that are failing to thrive – remember other diseases can cause similar symptoms, but if a group is affected it is often a sign that they are in need of a drench. If in doubt consult one of our vets. Some worm species induce other symptoms so if you are ever concerned about the health of your animals don’t hesitate to call us, even if it is just to chat to a vet for advice. Depending on what vaccinations you are after, you can either do it yourself or we are happy to come out and do it for you. They are difficult to treat and infection usually results in death, therefore prevention by vaccination is better than treatment, as well as being more cost effective and less stressful for you! We recommend Ultravac 5in1™ which covers the diseases listed above. 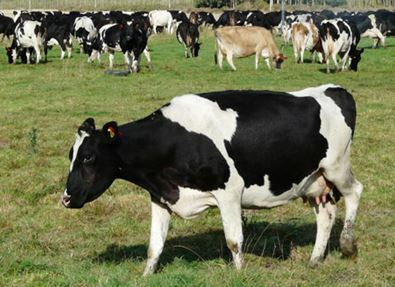 Leptospirosis is another disease that cattle and pigs are vaccinated for in New Zealand, and in recent years, sheep have been implicated as a source of leptospirosis infection as well. It can cause reproductive issues and kidney failure. It is of particular importance as it can be transmitted to people, causing a potentially life threatening illness and other complications may arise for those who recover. When it comes to rearing calves it is important to remember more is involved than just feeding them daily, some try it once then never do it again. It can be a joyful and rewarding experience, but things can go wrong so being prepared is a key factor in successful calf rearing. During the last few years there has been increasing demand to help farmers schedule their key animal health events during the year. This can take a little time to set up initially but farmers and their staff have enjoyed having that planned approach so that things like tail paint happen on time, and stock vaccinations, drenches happen at correct times. Planning means that any vet appointments happen at a time of the day that suits you. It also means that any health monitoring is targeted at the correct times for your situation. 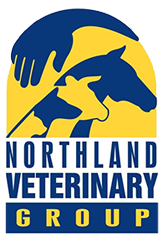 Key events that are scheduled include tasks by you or by the vet, like vaccinations, noncycling interventions, annual drug consultations, trace element testing. We perform farm-specific trace element and mineral evaluations using blood samples, liver biopsies, and pasture and other feed, analysis. This information is then used to formulate the most cost-effective supplementation regime for your particular farm and circumstances. Pre-mating examination and treatment of non-cycling cows. “InCalf” advice and training; Angus is an accredited InCalf advisor, and accredited to run InCalf Farmer Action Groups. Ross has training in Mastitis investigation to more rapidly target problem areas. We can advise you on calf housing, nutrition, disease identification and treatment, and growth targets, as well as investigating and treating specific problems of disease and ill thrift. A convenient service to de-bud calves (no horns) and check and remove extra teats, tag calves and vaccinate them all in a humane, economic manner. We offer a full herd lepto vaccination program, including certification for Health and Safety purposes, as well as advice and vaccination programmes for IBR (catarrah), salmonella, calf scours, neospora, pink eye, and BVD control and prevention. Our team of Vets offer a full range of on farm obstetric, diagnostic and treatment services including surgery for dislocated hips, twisted bowel, caesareans, cancer eye removal, claw amputations etc. Advice on costs versus benefits is an integral part of this service. Our farm services clinics in Hikurangi and Whangarei (16 Maunu Rd) are open Monday to Saturday at Hikurangi, and 7 days at Maunu Rd. 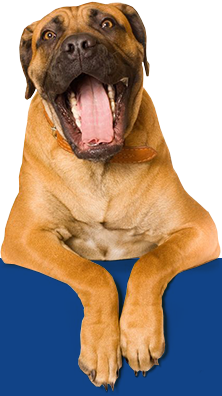 They carry a full range of competitively priced animal remedies and veterinary supplies. Goods may be collected from there and at other times by arrangement, or dropped off by our vets if they are going past your gate. Most vets and farmers find it unrewarding treating lame cows. They need to be treated, but we do put emphasis on trying to understand why cows get lame, preventing lameness and training staff so they understand their role in lameness prevention. Spending $500 on treating 20 lame cows is not as valuable to a farmer as spending $1000 on identifying the majority of causes on your farm and training your staff. (Given that a lame cow may cost $200). Angus is a DairyNZ approved “Healthy Hoof” programme provider. Within the team we have a range of skills in this area. Flystrike is a condition caused by blowflies laying eggs on the skin. When the maggots hatch, they eat the sheep’s flesh, causing nasty sores that if left too long, and can become so severe that the sheep may die, or euthanasia of the sheep may be required.